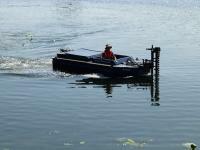 The high-quality mowing boat model 6410 is optimal for cutting the water plants, embankments and for clearing the waters with a width up to 2.00 m. The hull is made of reinforced marine sheet and has a double, waterproofed top coat. 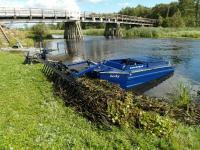 With a powerful, winding free auger drive and a powerful diesel engine (36 kW/ 49 HP), the mowing boat model 6410 reaches a speed up to 8 km/ h forwards and is therefore also suitable for water with high flow rates. 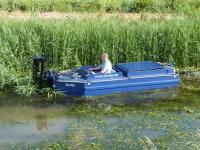 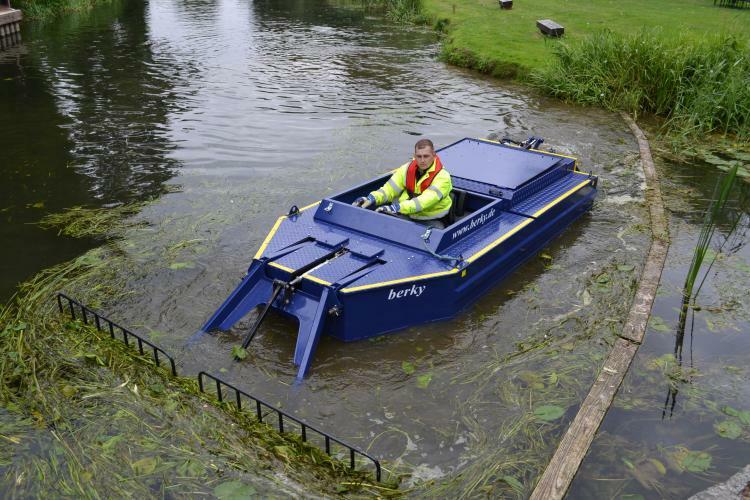 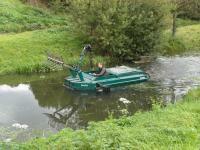 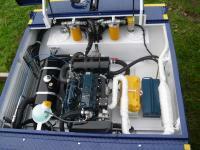 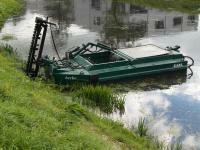 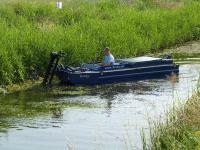 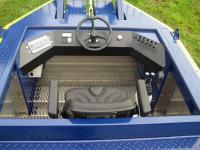 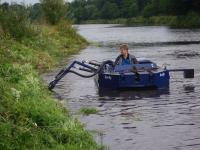 The boat can be equipped with various implements, such as with a T-double-knife for cutting weeds with a cutting depth up to 1.80 m, a collecting rake for collecting floating material and drag knives up to 3.00 m. The cockpit is ergonomically designed for easy operating.